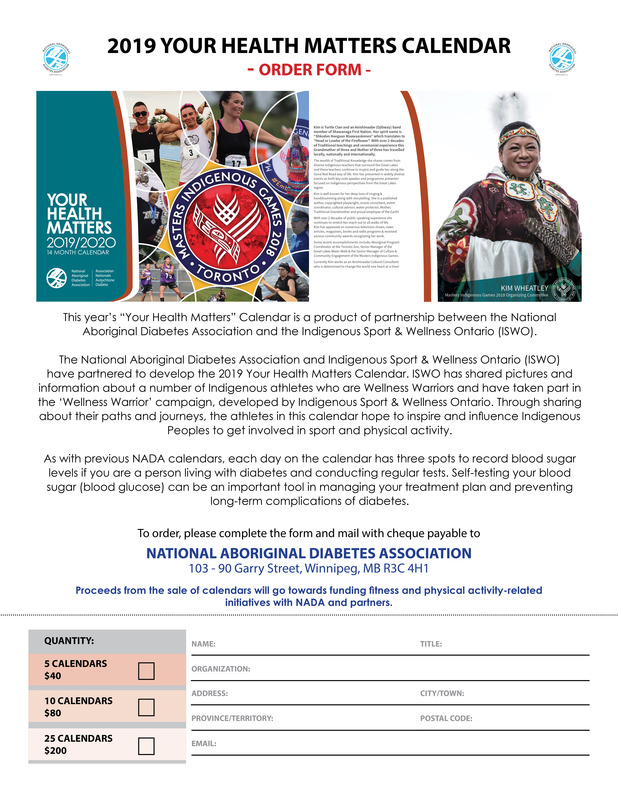 The National Aboriginal Diabetes Association and Indigenous Sport & Wellness Ontario (ISWO) have partnered to develop the 2019 Your Health Matters Calendar. 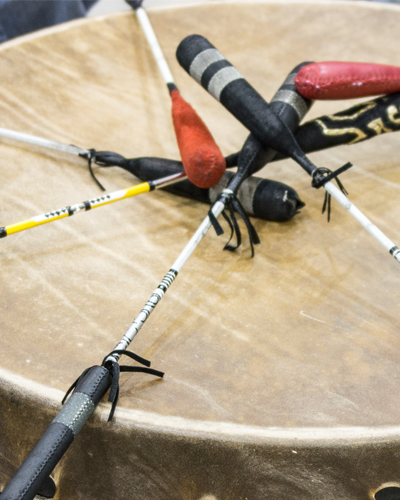 ISWO has shared pictures and information about a number of Indigenous athletes who are Wellness Warriors and have taken part in the ‘Wellness Warrior’ campaign, developed by Indigenous Sport & Wellness Ontario. 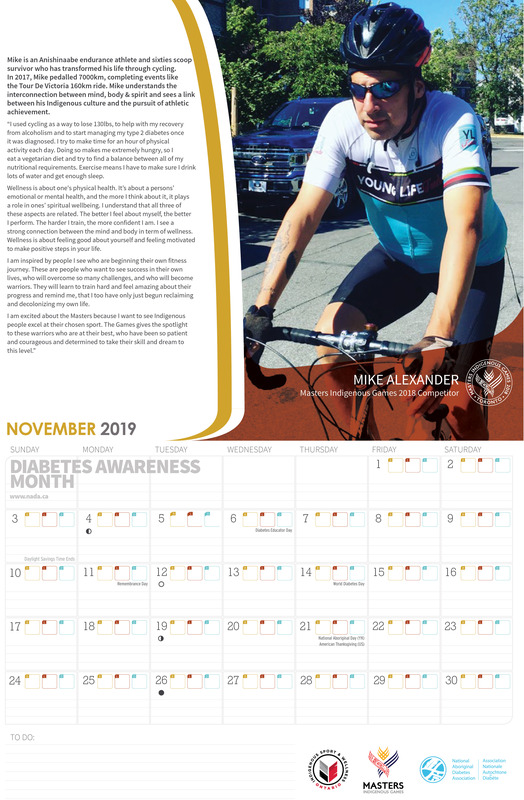 Through sharing about their paths and journeys, the athletes in this calendar hope to inspire and influence Indigenous Peoples to get involved in sport and physical activity. To order calendars, please visit this link.